A behind-the-scenes look at what we do & how we do it at Tom’s Automotive, West Seattle. Scuppy the pup stopped by the shop and was all smiles. We love visiting with you and your dogs when you’re bringing your car in or picking up after a service. Definitely bring your pup with you so we can share a little love and get your car inspected or repaired. The pitman arm is a component of your steering in your vehicle. A poor-working pitman arm can affect the safety of your steering and cause hazardous driving conditions. If you notice the feel of your steering changing, your car wandering or an inability to steer, these can all be signs of a failing pitman arm. Please, please get it inspected sooner than later. We’d love to take a look for you. Testing input/output of a starter relay. Noticing that your car engine isn’t turning over as easily… or at all? 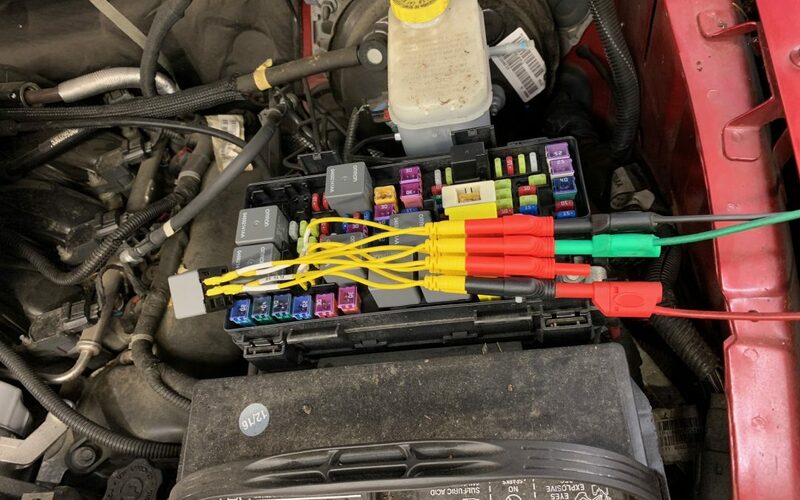 A test of the starter relay can be a great start for diagnosing an issue. We use a circuit tester to pinpoint the problematic component. The readout shows if the circuits are working properly, or if there is an issue. It’s a quick test that gives lots of details, and is pretty cool too! Extra cool because it saves time in getting to the right diagnosis, meaning less time and money in misdiagnosis or lengthy labor charges that might’ve been avoided … or at least minimized. You never know who you’re going to run into at Tom’s Automotive! Today we ran into Cookie Monster and Oscar the Grouch. Never a dull moment around the shop here. Schedule your next job with us today & we’ll see you soon!